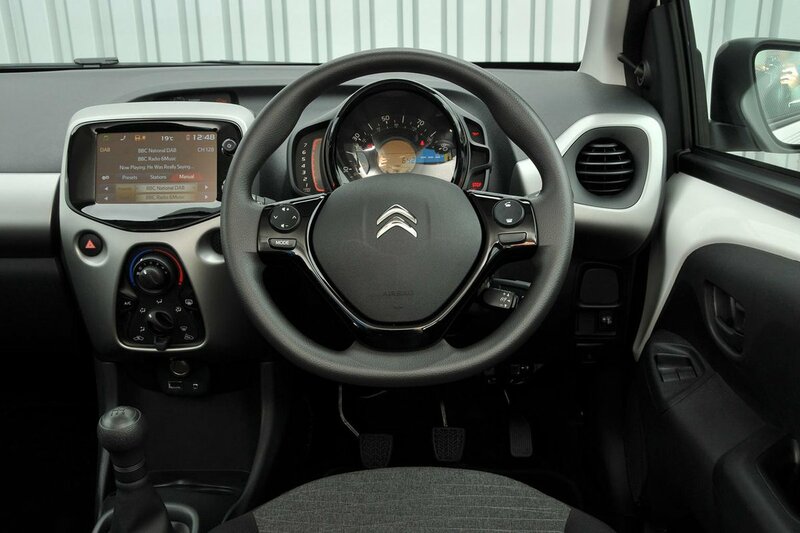 Citroën C1 Interior, Sat Nav, Dashboard | What Car? You’ll look in vain for seat-height adjustment on the entry-level model. That essential feature is reserved for the next-rung-up Feel version. The backrest adjusts via an easy-to-use wheel rather than the more common lever type that can be tricky to get just right, and the seat supports your sides and lower back very well. Reaching for controls on the dashboard is easy – and so it should be, considering how small the C1 is. The climate controls are easy to use, whether as the straightforward rotary variety on the lower-trim models or the electronic climate control type on higher-spec versions. 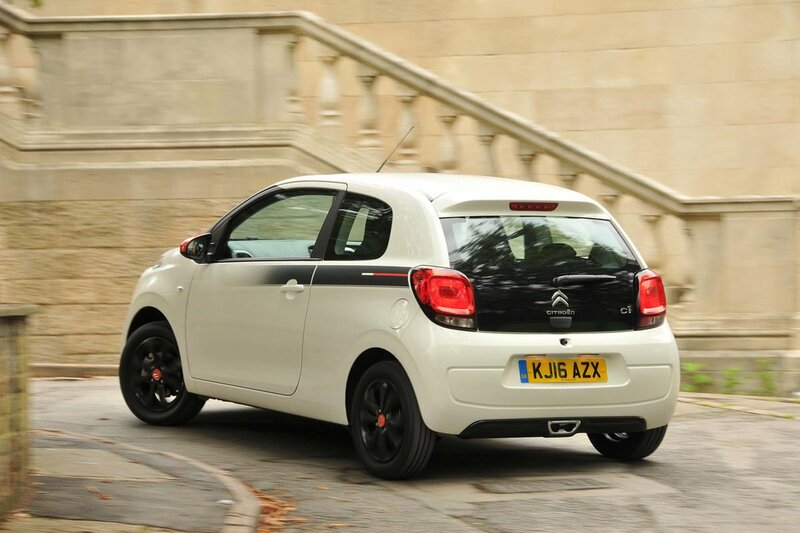 Slim pillars and a low waistline mean the C1 is easy to see out of, front and rear. As a result, parking and driving in congested places is straightforward. With such good visibility, the rear-view camera that’s standard on range-topping Flair and Urban Ride versions isn’t really necessary. It’s an option on all other versions, with the exception of the entry-level model. Parking sensors are an option on all models and would help the car exploit tight spaces better still. All but entry-level Touch trim gets a simple 7.0in touchscreen. It’s not the most intuitive of systems and can be a little slow to respond, but crucially it comes with Apple CarPlay, Android Auto and MirrorLink, so you can use your smartphone’s interface instead. DAB digital radio also comes as standard from Feel trim upwards. The infotainment system’s display is bright and clear, but with the roof down on the Airscape model the glare from the sun makes it impossible to read. This isn’t a problem on C1s with solid roofs, though. The entry-level Touch may lack the infotainment system but it does at least have a two-speaker MP3 stereo with a USB socket. The C1’s low price comes at the cost of interior finish. Door cards, the centre console and the dashboard are covered in hard, scratchy plastics that aren't exactly a pleasure to touch. 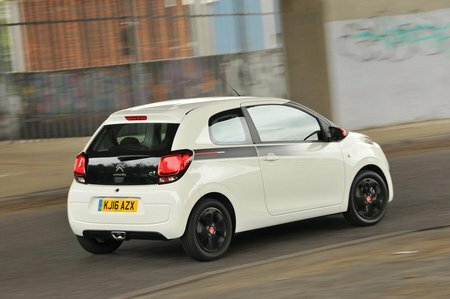 On the other hand, beneath the surface and in its details, the C1 feels quite solid. The switchgear doesn't feel as substantial as a Volkswagen Up’s, but is perfectly up to the job.